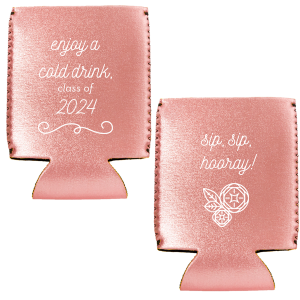 Nothing says “Cheers, Grad!” like personalized graduation flat can coolers! Browse our curated galleries of designs and color options to find your unique design. 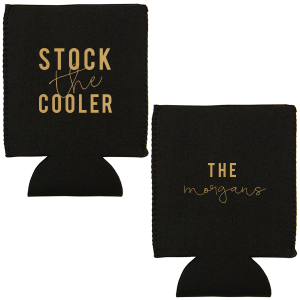 Your party guests will love using these can coolers at your party and then taking them home as a graduation party favor they'll use all summer long. 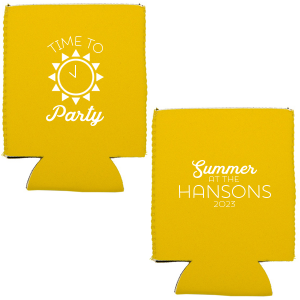 Keep things cool at your graduation party with personalized flat graduation koozies! 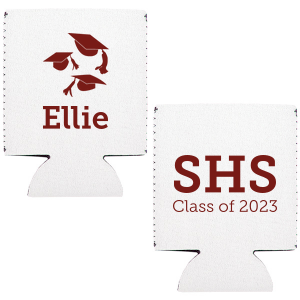 Create the perfect personalized flat graduation can coolers with For Your Party. 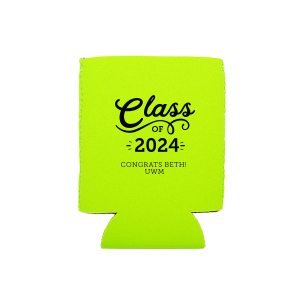 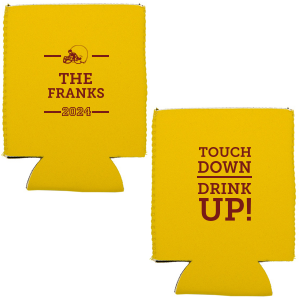 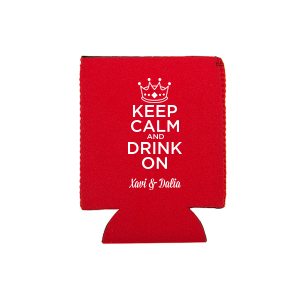 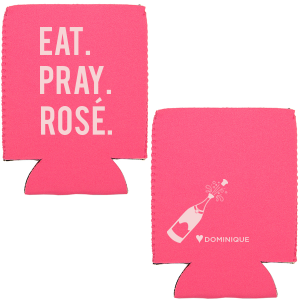 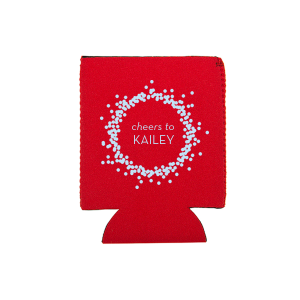 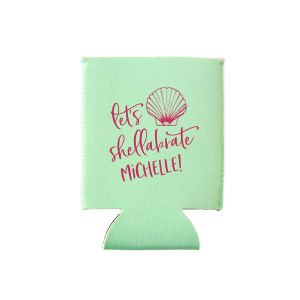 On our site, you have great options for color combinations, as well as on-trend graphics to complement your graduation party theme, so you can create the best koozies for your graduation party. Customize both sides of your flat graduation koozies for the ultimate personalization. Go traditional with a “class of 2020” design, or opt for an on-trend phrase like “best day ever!” koozies. 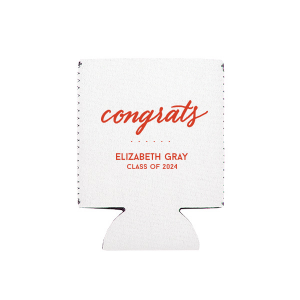 You're sure to find everything you need to create your personalized flat graduation koozies at For Your Party. 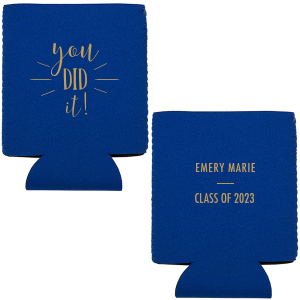 Say “cheers!” to your graduate in style with your custom designed flat graduation can coolers. 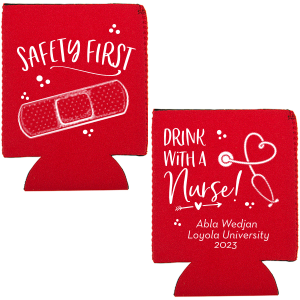 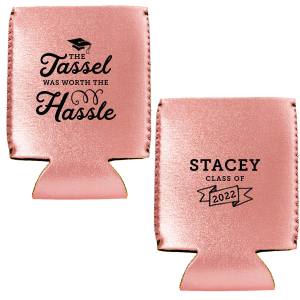 You'll want to be sure and order plenty so that you can use your personalized koozies at the party and give your flat graduation koozies as graduation party favors as well!